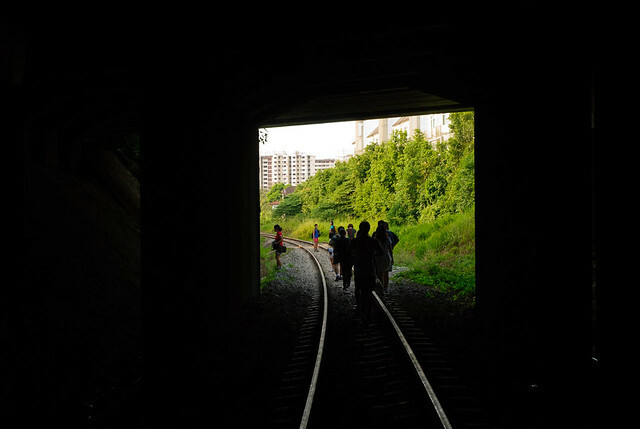 Shortly after the cessation of rail services between Tanjong Pagar Railway Station and the Woodlands Train Checkpoint, the announcement came that the entire railway will be opened to the public to explore until 17 July 2011. With no trains to watch out for, this is a good time to explore the track and the surroundings, so when I saw Jerome‘s Facebook posting organising such a walk last week, I jumped at the opportunity and also invited Boon Hwee, who has also been documenting the last days of the KTM railway to come along. The walk was supposed to start from Tanjong Pagar Railway Station, but Jerome, having walked the track with the Minister of State Brigadier-General Tan Chuan Jin, commented that it was rather tough and there wasn’t much to see until much further down the road, so we decided to start from Bukit Timah Railway Station and end at Ghim Moh instead. We arrived to see the Bukit Timah Railway Station now fenced up in an ugly green fence. 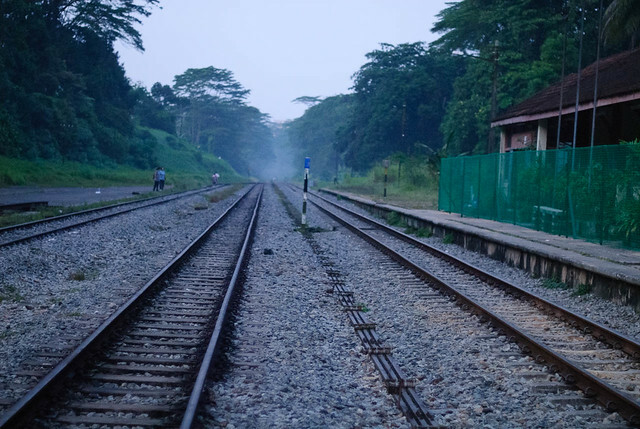 The railway tracks and the now-defunct and fenced up Bukit Timah Railway Station in the early morning. The northern signage of the station has also been removed, leaving a small plot of land with holes where the posts used to be. 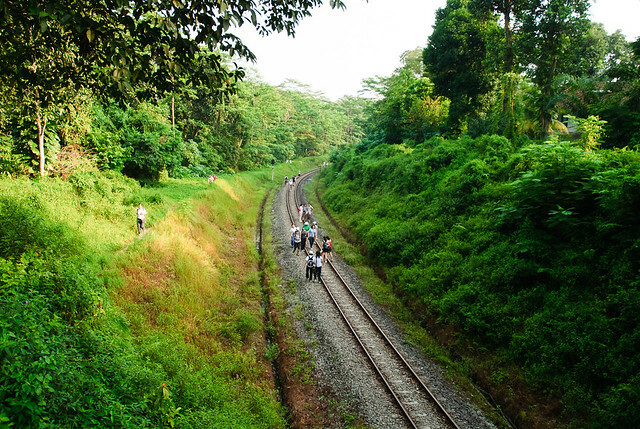 We first headed to the black truss bridge across Bukit Timah Road/Dunearn Road, which is now safe to explore without the danger of approaching trains. A group of foreigners were also there, taking a group shot of themselves. 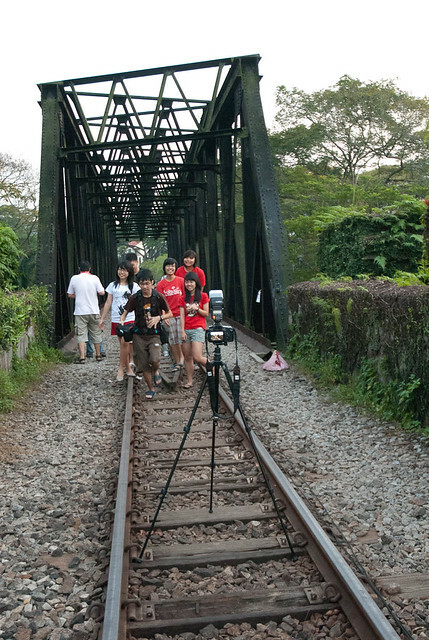 A group of foreigners posing for a group photo at the black truss bridge over Bukit Timah Road. 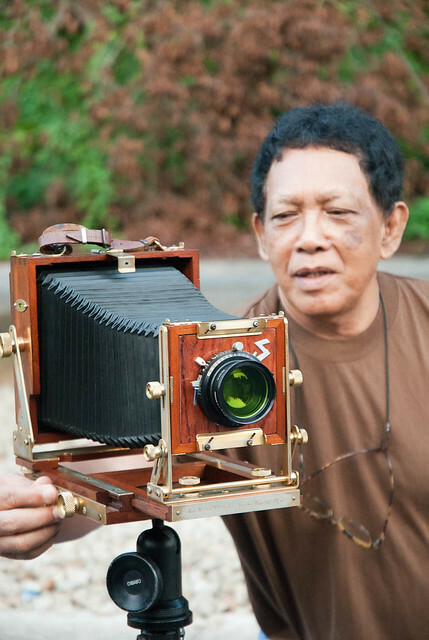 On the way back to the station, we ran into a Mr. Kassim who has brought along an antique 4×5 view camera. 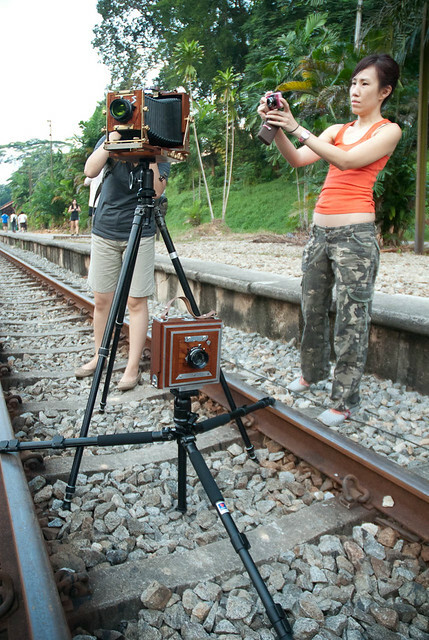 He’s also got a DIY view camera which he has brought along to shoot the tracks. Mr. Kassim showing how his view camera works. An antique 4x5" view camera (top) and a DIY camera (bottom). 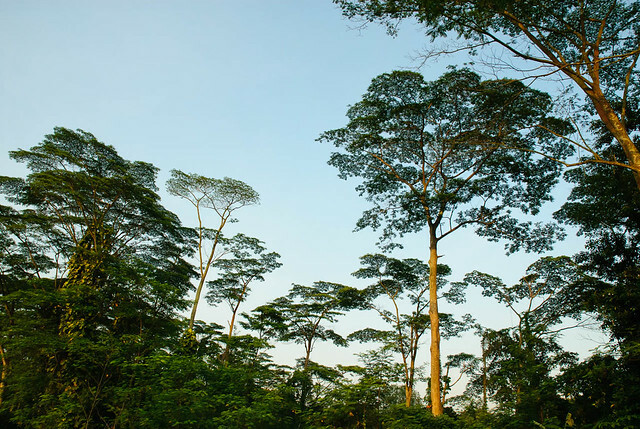 The latter was built by a Mr. Kasim, an avid photographer. From here, we started walking into the Green Corridor. 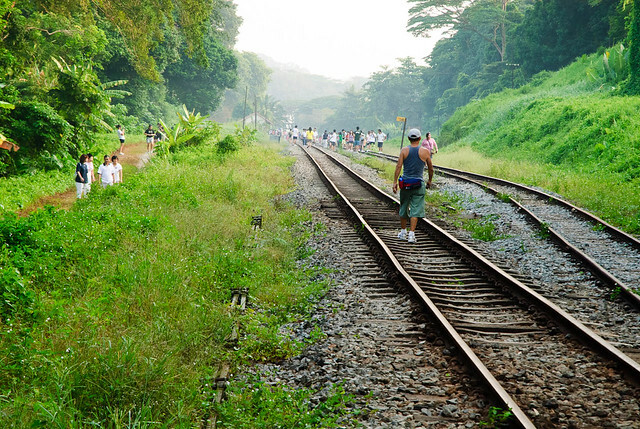 Many people have also turned up to walk along the tracks and get close to nature before they are closed to the public after 18 July 2011. 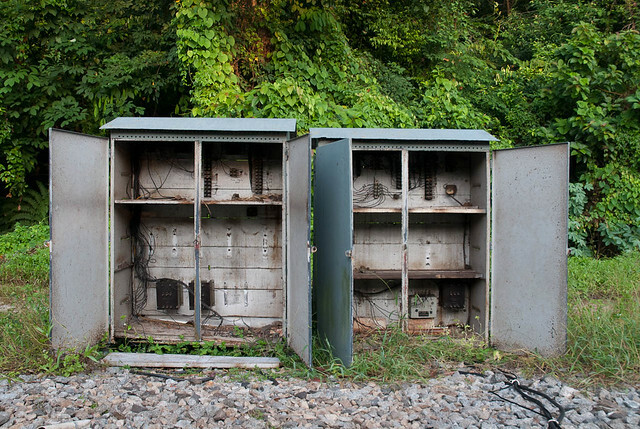 The now-abandoned signal boxes which have been gutted of the insides after 1 July 2011. It’s the second time I’ve walked this stretch of the green corridor and I am still awed by the unspoilt and untouched nature surrounding it. 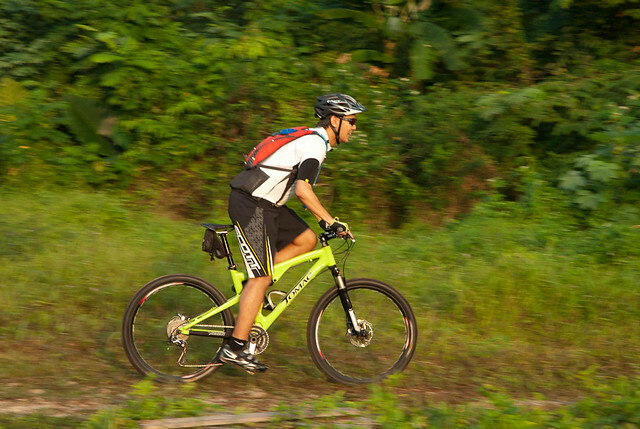 A cyclist rides along a dirt path running parallel to the railway track. 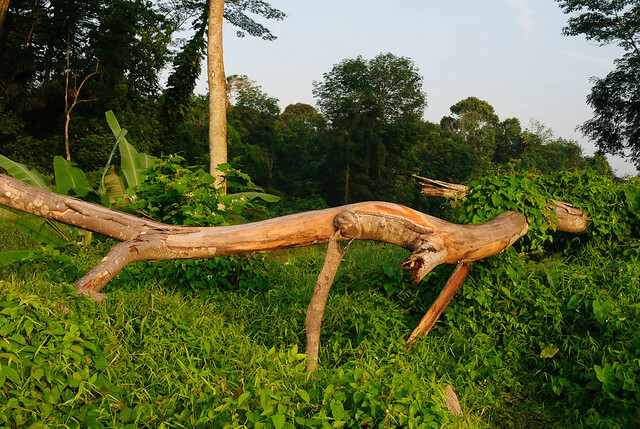 A fallen tree basks in the warm light from the rising sun. 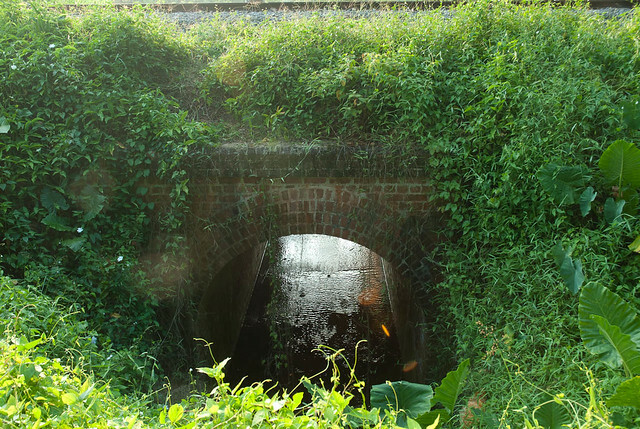 A small brick culvert allows the stream to run across the track. 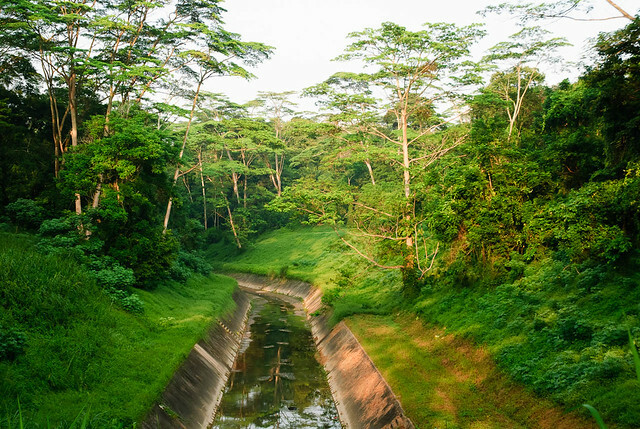 Further up is a man-made canal, also surrounded by lush greenery. 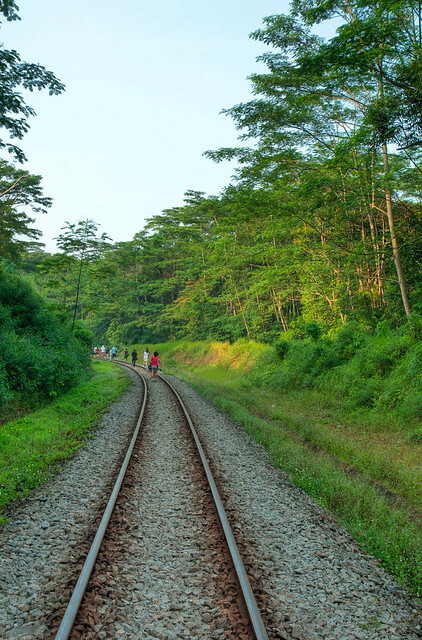 The entire track is surrounded by lush greenery as well, which is why it’s been dubbed the “Green Corridor”. 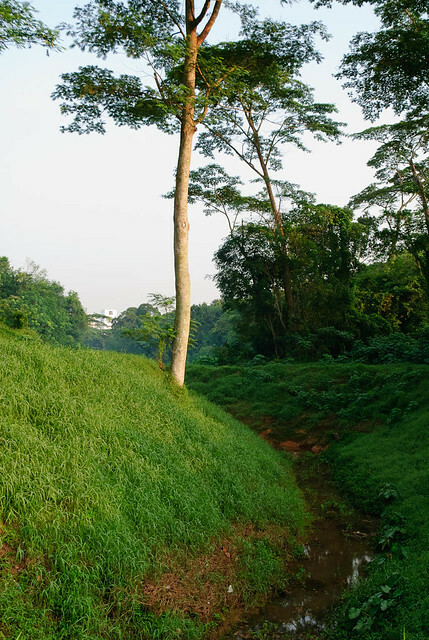 We soon arrived at the Holland Road bridge, where one can get an elevated view of both sides of the green corridor. 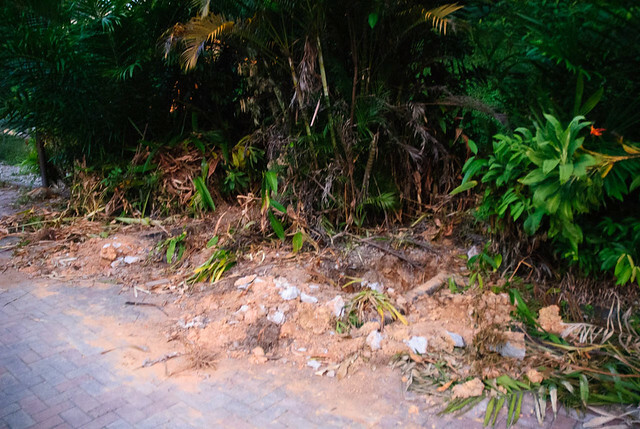 Much has been said about the 3 Rs – Reduce, Reuse, Recycle, and and a good example of this mantra can be seen further up, where disused sections of the railway track are used possibly as retainers to prevent landslides down the slope. 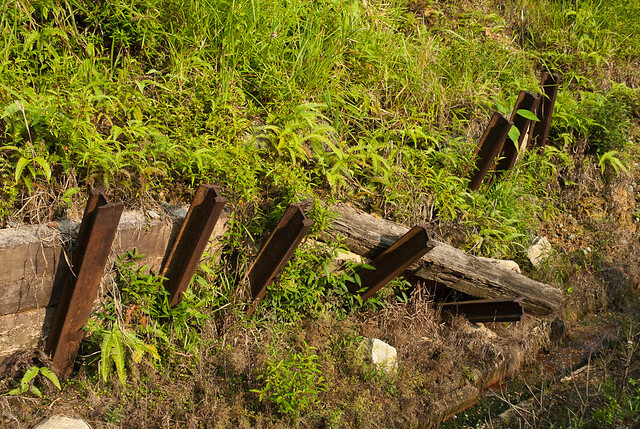 Used pieces of the track being used as retainers to hold up the soil on the slope. We soon pass under another section of the Holland Road. I took a shot of the silhouetted figures crossing under it. We eventually came close to our destination. 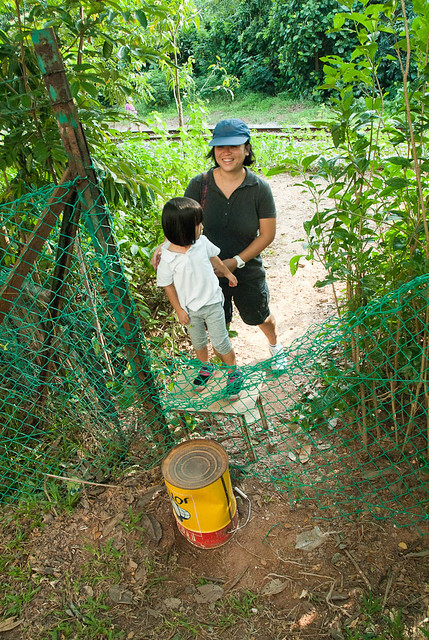 A break in the fence lets us cross over to the Ghim Moh HDB estate. Some good samaritans have put up a stool and an inverted metal container to let people climb over easily. Some good samaritans have setup an inverted metal container and a stool to facilitate climbing over the fence into the HDB estate. From a nearby overhead bridge, one can get a nice view of the railway track among the HDB estate. 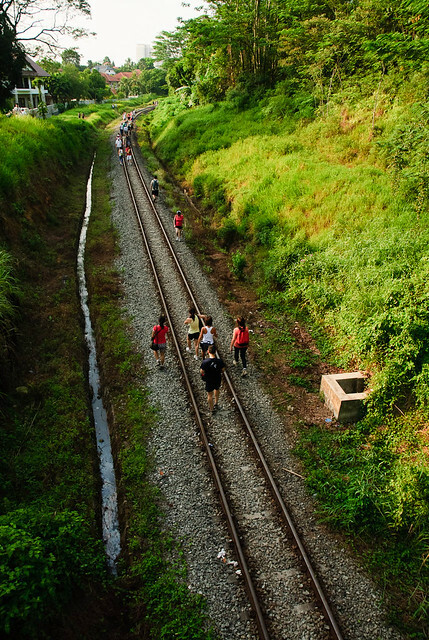 The railway track as seen from an overhead bridge near Blk 5, Ghim Moh Road. A short walk later we arrived at the Ghim Moh Market where we had our breakfast. 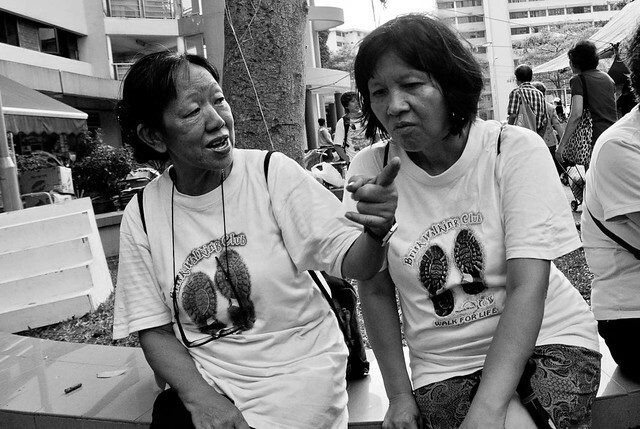 We spotted these 2 women resting and chatting and Boon Hwee attemped to take a shot and they struck up a conversation. Apparently she has worked near the railway at the old Yeo Hiap Seng factory for a long time and has been walking on it for years, running to the side whenever she heard the horn of the train. A woman passionately reminiscing the old days of working near the railway line. We took a much deserved break and had breakfast at the hawker centre. Jerome, his family and the rest of the remaining folks decided to call it a day. As it was still early, Boon Hwee and I decided to continue to Jalan Hang Jebat after breakfast. I’ll leave that for another blog post. By the time you read this, the entire railway line will be closed, except for a 3km section between Rail Mall and Rifle Range Road. If you have not been there, you have until the end of July to walk along this stretch of the railway. Don’t forget to support the Green Corridor proposal by “liking” them on their Facebook page! 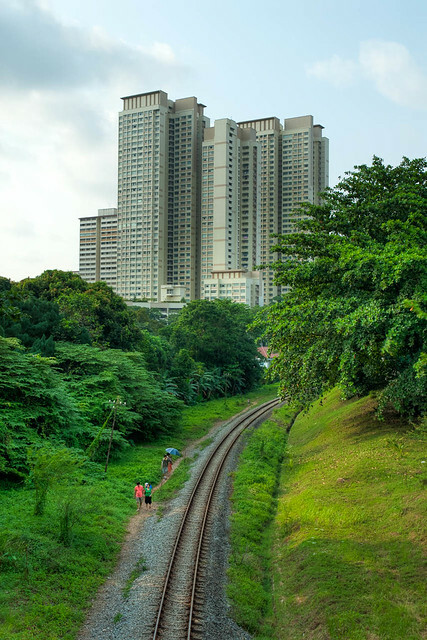 This entry was posted in Photography and tagged bukit timah railway station, green corridor, ktm, railway, Singapore, truss bridge. Bookmark the permalink. Hi, My name is Melissa. I just saw your post and I realized was there since 2011. I’m wondering, is this track still exist ? I would like to go there and explore and take some photographs. It looks very interesting and I have always wanted to do this in Singapore. If you are reading this, I hope to received your reply. Thank you. Most of the tracks no longer exist. 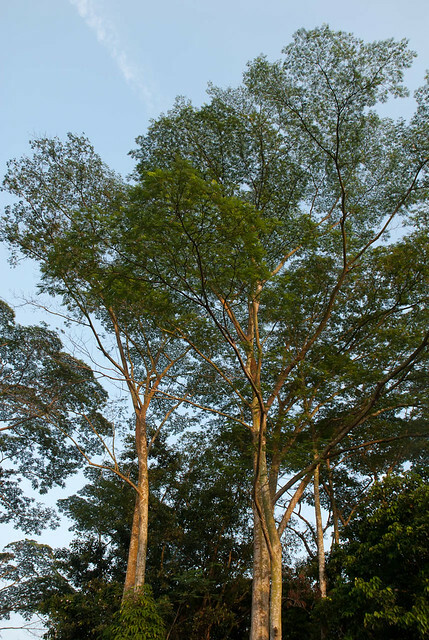 They were dismantled and returned to Malaysia. 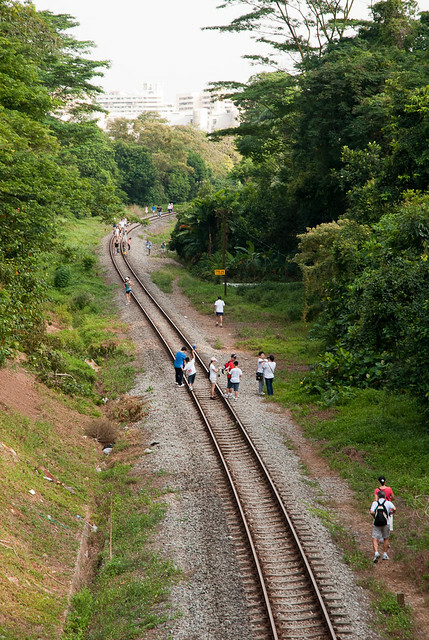 Only a short section of the track in front of the Bukit Timah Railway Station and Tanjong Pagar Railway Station remains. The latter is now closed to aid the construction of a new MRT station/tunnel.